(A4O, 12 October 2016) It has now been a clear that the heroic sacrifices Qeerroo Bilisummaa Oromiyaa has been making since its formation in 2011 has resulted in shortening the date of the freedom of the Oromo people and independence of our homeland Oromia. The current declaration of “State of Emergency” is a clear evidence that the TPLF led regime is crumbling and is existing in a state of hopelessness. Due to the bitter struggle of Oromian youth led by Qeerroo Bilisummaa, the minority Tigrean elite which has been boasting of its political superiority for a long time has started disintegrating and collapsing by the day. The heroism displayed by Qeerroo has been a nightmare to the TPLF leaders. It is important to note that the declaration of the so called “State of Emergency” will only fuel our struggle. Qeerroo Bilisummaa would like to make it clear to all of our friends and enemies that the current desperate ‘declaration’ will never deter the struggle of Oromo people led by Qeerroo Bilisummaa. It will rather bolster our strength and fuel the struggle. Hereafter, any futile exercise made by the TPLF regime will only result in shortening the date of its demise. In its bitter struggle, Qeerroo Bilisummaa succeeded in stripping the mask of TPLF covered with lies and has shown its true color of dictatorship and racist nature to the entire world. The current ‘declaration’ corroborates that the TPLF regime is shaky, that it is hated by the Oromo people and entire peoples of Ethiopia, that it doesn’t have the capacity to protect the peace and stability of the country, and that it does not have the trust and confidence of the people it supposedly govern. The date of the death of the TPLF regime is not far. It is close to a year since Qeerroo Bilisummaa Oromoo has made its main objective Resistance to Culminate Subjugation (Fincila Xumura Gabrummaa). With determination, Qeerroo Bilisummaa has changed the political landscape of the entire country. Qeerroo has exposed that the TPLF regime is on a shaky and precarious foundation. It has revealed that our people are strong, that they are the political center of the country and that they are the main factor for the establishment of peace and security of the East African region. Qeeroos movement has demonstrated to the world that any government that plans to marginalize the Oromo nation cannot any longer maintain peace and security in the country. 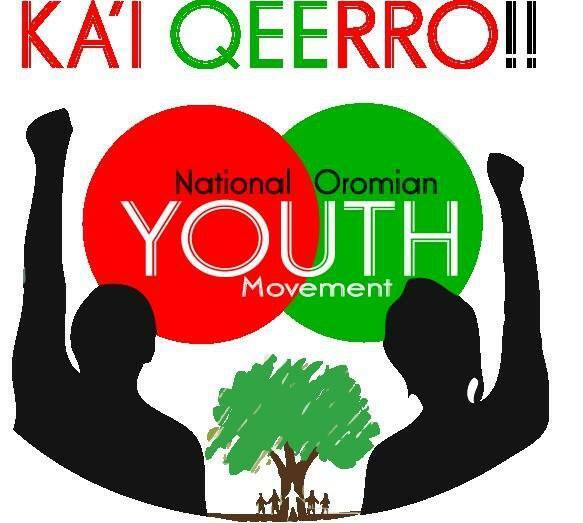 Qeerroo is able to achieve a historical political victory for the Oromo people by awakening, organizing, and dispatching the young Oromo generation. By fighting the enemy which is armed to the teeth barehanded, Qeerroo has boosted the morale of our people to determine their destiny. It is the responsibility of the peoples of the country and particularly of the Oromo people and activists to make the TPLF regime the last dictatorial regime in Ethiopia. Unless this group leading a regime which has targeted our people as the main enemy is removed from its foundation, we cannot obtain the freedom of our people and independence of our homeland. We have to get organized in all spheres for the realization of the right to self-determination of our country Oromia. We have to coordinate our human and economic resources and defend an enemy which has no remorse to do anything in its power to eradicate us from the face of the earth. The Oromo people in and out of the country should coordinate their activities and support the struggle with everything they can. In our movement to achieve our rights, it is very important to be alert about the infiltration of the enemy in our movement. The enemy will do everything in its power to infiltrate the revolutionary camp by giving our own people small benefits and trying to divide and rule us. Oromo activists should not stand with the enemy being deceived by little benefits they may get. We cannot bargain the bloods of our brothers and sisters by having inappropriate relationship with the killers of our young generation. Especially, Qeerroo Bilisummaa would like to remind our activists in the diaspora that the TPLF regime will do anything to sabotage our struggle by assigning its surrogates. We strongly suggest that activists in the diaspora take extra care in dealing with such people. It is well known that Oromo people are sacrificing the lives of their children in order to gain their freedom. However, it is being observed recently that some are attempting to take away the fruits of the struggle by signing agreements with the enemy through the back door. Qeerroo Bilisummaa would like to warn such people to take off their dirty hand from the fruits of the struggle of our nation for which the blood of our young generation has been spilled. Such kind of activity filled with sabotage is considered as an act of treason and individuals or groups involved in such activities will not be seen differently from the enemy. Qeerroo Bilisummaa would like to reiterate that any agreement that is signed or agreed upon with any entity by the name of Qeerroo without formal assignment from our organization will be null and void. At this historical juncture the Oromo people are waging a bitter struggle to get their freedom by directly facing the enemy in Oromia and paying the ultimate sacrifice. The Oromo people at home, the owner and beneficiary of the struggle, are not waiting for their freedom to come to them from Atlanta,Oslo or Berlin. Qeerroo Bilisummaa would like to advise those who are attempting to gain popularity by twisting the popular struggle from the center of Oromia to the Diaspora, for them to refrain from such shameful and selfish behavior of seeking fame and prominence at the expense of the lives of our sons and daughters. In conclusion, we call on the Oromo people to stand shoulder to shoulder, defend the fruits of the struggle, and contribute to the struggle with every capacity you have and pay the necessary sacrifice when necessary and move forward until we gain our independence. By avoiding unnecessary controversy and conflict in the revolutionary camp, developing the culture of listening to each other and supporting one another, we should work hand in hand for the success of the struggle. Our freedom depends on the totality of the contributions we all make for the struggle. The end of the existence the TPLF in Finfinne (Addis Ababa) is not far. Qeerroo Bilisummaa would like to affirm that it will intensify the struggle until our people gain their freedom. Freedom to the Oromo people!